The first row must contain headings such as name, first name, email address etc. If, at a later stage, you want to form groups when you create a course, then it will be very helpfull for you to rank your customers using the column "Level". How you make the distinction is entirely up to you - they are free text fields. 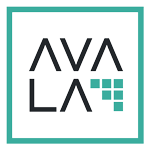 Within the group formation in AVALA you then have the possibility to filter or sort by that "Level". The latter is done alphabetically. So in case you are using numbers, e.g. from 1-20, then it is best to write "01" instead of "1" for the single-digit numbers. This will make it easier for you afterwards!